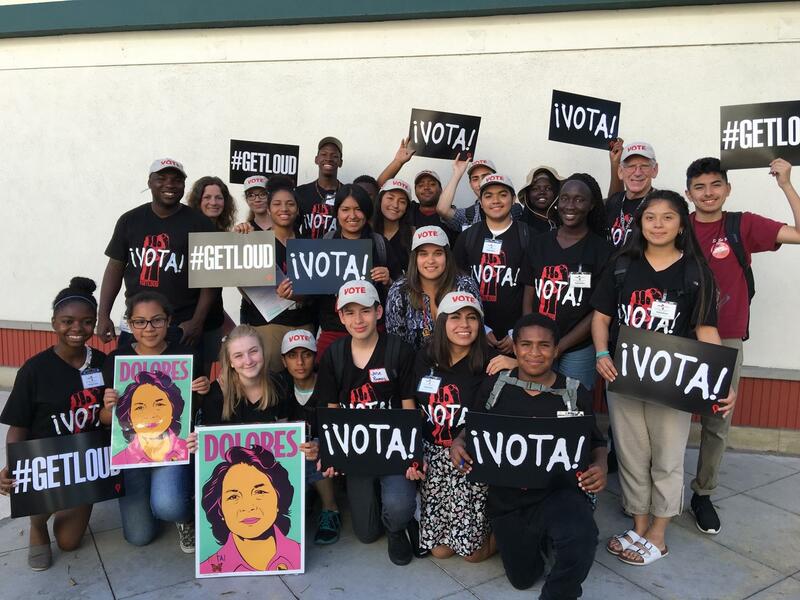 The Dolores Huerta Foundation has an important challenge for you: Do you have a message to share that would help young people, your friends, your family, and your community understand why voting is so important? Enter your creative, mind-blowing and catchy message idea in DHF’s “Election Day is the Most Important Day of Your Life” video contest from September 27th – October, 10th 2016, and you could win the chance to win cash prizes of up to $300. And even if you don’t win that grand prize, we’ll showcase your video on DHF’s YouTube Channel and on Facebook. Maybe you have a very personal reason for why voting is so important. Maybe you have a touching story related to voting. Maybe you’ve identified an important (non-partisan) issue on the ballot that you really care about. Or maybe your family stands to gain or lose something important in these upcoming elections. You don’t have to be a rocket scientist to have a good idea. You don’t have to be a cinematographer to come up with a visually appealing video. Make a video sharing your message about why it is so important for our communities to get out and vote and send it to us. What’s in it for you? Well, we’ll help your message get some traction by posting some of the best videos on DHF’s YouTube channel. We’ll also promote them on the DHF website and Facebook. Who knows? Maybe your video will go viral! We’ve designed this video contest for people ages 13 to 25, because we know you connect best with the segment of our population we’re trying to reach. You can make the video by yourself, or as a team of up to three people. It doesn’t have to be fancy. But it does have to be no more than 1 minute long or less, and follow the official rules. Entering is simple: First, upload your video to YouTube. Then, fill out the registration form below. Make sure your entries are in by 11:59 p.m. on Monday, October, 10th! No purchase necessary to enter or win. Must be 13-25 years of age to enter. The ‘Election Day is the Most Important Day of My Life’ Video Contest is designed to give people ages 13 to 25 the chance to explain their non-partisan reasons for voting. Contest entrants are asked to creatively share their non-partisan ideas about the importance of voting in a video (no longer than 1 minute in length,) while encouraging other young people to register and vote in the upcoming general election as well as get involved in civic engagement by educating their friends, family, and community about the importance of voting. Contest Entrants will explain why ‘Election Day is the Most Important Day’ in a video (no longer than 1 minute in length.) The winners will have their “Election Day” videos featured on the Dolores Huerta Foundation website www.doloreshuerta.org, and on DHFs Facebook page. The First Place Winner will get a $300 cash prize. The Second Place Winner will get a $200 cash prize. The Third Place Winner will get a $100 cash prize. You can enter the contest as an individual or as a team of up to three (3) members. All team members must be in the 13-25 years age group at time of entry. Teams with individuals who do not meet those age requirements will be disqualified, and their Submissions will be void. For purposes of these Official Rules, Individuals and Teams shall collectively be known as “Entrants”. Your video can be as simple as a shot of you explaining why ‘Election Day is the Most Important Day’ a, or as elaborate as an animation showing why voting is so important for our communities. It’s up to you! But the video must be produced by you, the Entrant, and be about why ‘Election Day is the Most Important Day.’ The video must be no longer than one minute in length. The video must be non-partisan in that it may not directly or indirectly represent any political campaign on behalf of (or in opposition to) any candidate for elective public office. 1. NO PURCHASE NECESSARY TO ENTER OR WIN. The ‘Election Day is the Most Important Day of Your Life’ Video Contest is designed to give people ages 13 to 25 the chance to explain their non-partisan reasons for voting. Contest entrants are asked to creatively share their non-partisan ideas about the importance of voting in a video (no longer than 1 minute in length,) while encouraging other young people to register and vote in the upcoming general election as well as get involved in civic engagement by educating their friends, family, and community about the importance of voting. Contest Entrants will explain why ‘Election Day is the Most Important Day of Your Life’ in a video (no longer than 1 minute in length.) The Top 10 Finalists will have their “Election Day” videos featured on the Dolores Huerta Foundation website www.doloreshuerta.org, and on DHFs Facebook page. The First Place Winner will get a $300 cash prize. The Second Place Winner will get a $200 cash prize. The Third Place Winner will get a $100 cash prize. Submission Period (9/27/16 – 10/10/16): Videos are submitted according to the “How to Enter” description in Section 3 of the Official Rules. Judging Period: (10/11/16 – 10/17/16): Finalist videos will be viewed by a panel of judges who are staff, volunteers, and supporters of the Dolores Huerta Foundation. They will be selected in the sole discretion of the Sponsor and will be judged according to the criteria described in Section 5 of the Official Rules. One Grand Prize Winner will be selected. Notification Period: (10/18/16 – 10/21/16): Sponsor shall attempt to contact Grand Prize Winner, or an alternate, if necessary, as described in Section 6 of the Official Rules. One Grand Prize Winner announced on or about 10/24/16, 10:00am P.S.T. 2. ELIGIBILITY: Contest is open to entrants (“Entrants”) who are residents of the 50 United States and Washington, D.C. Void outside of the 50 United States, Washington, D.C., and where prohibited. Entrants must be between 13 and 25 years of age and have Internet access, as of the date of submission. Employees, officers and directors of Sponsor, members of their immediate families, and those living in the same household, are ineligible. Each Entrant must be the rightful owner of the E-mail address registered with the YouTube account used to log in and upload the Video Submission (as described in Section 3, below). If Entrants enter as a team, one team member must be the rightful owner of the E-mail address associated with the YouTube account used to upload the video. In the event of a dispute as to the identity of a winner, the winner will be deemed to be the natural person in whose name the E-mail account is registered with YouTube. The “authorized account holder” is defined as the natural person to whom the E-mail address is assigned by an Internet service provider, online service provider or other organization (e.g., business, educational institution, etc.) that is responsible for assigning E-mail addresses for the domain associated with the submitted E-mail address. Entry constitutes Entrant’s certification that he/she meets the eligibility requirements set forth in these official rules. Sponsor reserves the right to verify eligibility of any potential winner. Winning a prize is contingent upon fulfilling all requirements set forth herein. HOW TO ENTER: To enter, sign in to YouTube and upload your video contest entry based on this theme: ‘Election Day is the Most Important Day of Your Life’. The idea must be based on the idea that voting is of great importance for our families and communities. The video can be no more than 1 minute long. If you do not already have a YouTube account, you will be required to create one. Then go to this link on the DOLORES HUERTA FOUNDATION website to register your submission: http://www.Dolores Huerta foundation.org/electionday. You must completely and accurately submit all required information to enter. If Entrants are working as a team, each Entrant must register separately and be sure to fill in the section with the names of other team members so that entries can be cross-referenced. Entrants under age 18 (minors) need parental permission to enter the contest. Parents must complete the registration form on Dolores Huerta foundation.org (at the foregoing link) for a minor’s entry to be valid. If minors are working as a team, the parents for each member of the team must complete a registration form and give permission for the entry to be valid. Once we verify all necessary information, the video submitted on YouTube will be added to a playlist on DOLORES HUERTA FOUNDATION’s YouTube Channel. All Submissions must be received by 11:59 p.m. P.D.T. on Monday, Oct. 10, 2016. Sponsor is not responsible for late or unsuccessful attempts to enter. Sponsor reserves the right to allow for minor fluctuations between the Entrant’s timing device and the actual runtime of the Submission on the Contest Homepage, based on clear intent to comply with the Official Rules, as determined in the Sponsor’s sole discretion. The Entrant should be able to provide on request all appropriate clearances, permissions and releases for the Video Submission, including releases from the submitting Entrant and any third parties appearing in the Submission. Incomplete, corrupted, untimely, or unintelligible entries will be disqualified. If for any reason an Entrant’s entry is confirmed to have been erroneously deleted, lost, or otherwise destroyed or corrupted, Entrant’s sole remedy is another entry in the Contest, Sponsor reserves the right to determine in its sole discretion which entries have satisfied the entry requirements. Entrants may enter more than once, as long as all entries comply with these Official Rules, including without limitation the Video Submission Requirements. ELIGIBLE ENTRANTS MUST SUBMIT EACH ENTRY IN ACCORDANCE WITH THESE OFFICIAL RULES. NO OTHER METHOD OF SUBMISSION WILL BE ACCEPTED. Be the Entrant’s original idea (modification of an previously published work shall not be considered an original idea). Entrants should not knowingly copy another’s idea, but entries will not be excluded merely because another Entrant has a similar idea. Comply with YouTube terms of service and specifications for user submissions and/or video uploads, located at http://www.youtube.com/t/terms and as may otherwise be posted on the YouTube website. Include mention or performance of any copyrighted media production including but not limited to music, films, books, television programming, etc., or identifying descriptions of any media property. Contain material that violates or infringes another’s rights, including but not limited to material that violates privacy, publicity or intellectual property rights, or that constitutes copyright infringement. Without limiting the foregoing, Video Submissions must not include third party trademarks, logos, insignia, location signage, photographs, artwork, or sculptures. Use music that isn’t originally written, performed and produced by you, the Entrant. We’re not saying this because we don’t love music; we do we really do! It’s because we don’t want to violate the copyright of musicians and artists. All music featured in any video must be available to publicize and broadcast on a license-free, no compensation basis. Include third parties, including but not limited to minors, celebrities and friends who have not expressly authorized Entrants to display their image, likeness or voice in any submitted video or otherwise use such image, likeness or voice in accordance with these Official Rules. By entering, each Entrant represents and warrants that his or her entry (and Sponsor’s and its designees’ use thereof) does not and will not defame or otherwise violate the rights of any third party and does not and will not violate any federal, state, or local laws or ordinances. Entrant further represents and warrants that he or she has secured the requisite consent from any third party referenced or appearing in their entries. To the extent that anyone under the age of 18 appears in a video, Entrant represents and warrants that the minor’s parents consented to the minor’s appearance in the video and the public display of the video on YouTube. Sponsor reserves the right in its sole discretion to disqualify any entry that it believes violates any of the Video Submission Requirements, does not otherwise comply with these Official Rules, or that is not consistent with the spirit and theme of the Contest. Entrants will retain copyright in their work, but each Entrant grants to DOLORES HUERTA FOUNDATION a non-exclusive, worldwide, perpetual, assignable, royalty-free license to publish, reproduce, distribute, display, perform, create derivative works, transmit or disseminate the Works in all media or platforms whether now known or hereafter invented. 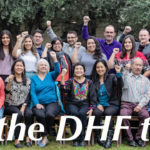 Entrant also waives any and all moral rights in the Works with respect to any use by DOLORES HUERTA FOUNDATION, its member organizations, sub-licensees, or assigns. Sponsor and its designees shall have the perpetual, worldwide right to publish and use the entries in any way, and in any media for trade, advertising, promotional, and/or other purposes as Sponsor and/or its designees may determine without further consideration to Entrant or any third party. 5. WINNER NOTIFICATION AND ANNOUNCEMENT: The potential Grand Prize Winner, as determined by the Judges, will be notified by E-mail (via the E-mail account used to sign in to YouTube) on or about October 18, 2016, and will be required to respond (as directed) to the notification attempt. The failure to respond timely to the notification may result in forfeiture of participation in the Contest and, in such case, Sponsor will select an alternate Grand Prize Winner according to the Judges’ results. The potential Grand Prize Winner will be required to execute and return a notarized affidavit of eligibility and liability/publicity release (where legally permissible) and other documents required by the Sponsor within a reasonable amount of time, as determined by the Sponsor in its sole discretion. If a potential Grand Prize Winner cannot be contacted by E-mail after the first attempt to contact him or her, or if he or she fails to sign and return the affidavit of eligibility and liability/publicity release within the required time period (if applicable), or if he or she is unavailable to participate in the Grand Prize meeting, the potential Grand Prize Winner will be disqualified and an alternate entry will be selected in his or her place from all eligible entries received according to the judging criteria described above. Only one alternate winner selection will be made, after which any remaining prizes will remain unawarded. PRIZES: The First Place Winner will get a $300 cash prize. The Second Place Winner will get a $200 cash prize. The Third Place Winner will get a $100 cash prize. Odds of winning will depend on the number of eligible entries received. In no event will more than one (1) First Place Prize, (1) Second Place Prize, (1) Third Place Prize be awarded. Sponsor makes no representations or warranties with respect to the potential benefits or outcomes to Winner with respect to the advice or commentary provided. Prize Restrictions: Winner cannot assign or transfer the prize to another person. No prize substitution or changes are allowed except at the discretion of Sponsor. Prize cannot be substituted or redeemed for cash. All prizes are subject to availability. If a prize or any portion of a prize cannot be awarded due to circumstances beyond the control of Sponsor, a substitute prize may be awarded; provided, however, that if prizes are awarded but unclaimed/forfeited by recipient, prize may not be re-awarded in Sponsor’s sole discretion. Other restrictions may apply. Limit one prize per person, per household. Prize is provided “as is” without warranty of any kind. Winner is responsible for any loss of prize or portion of prize after it has been delivered. 7. RIGHTS IN SUBMISSIONS: In consideration of Entrant’s Video being reviewed and evaluated for this Contest, each Entrant hereby grants to the Sponsor, its members stations and assignees, the exclusive, irrevocable, fully paid, universal license to use, copy, sublicense, transmit, distribute, publicly perform, publish, delete or display such Video, or any portion thereof, in any media now known or hereafter devised including, but not limited to all forms of television and all forms of Internet and wireless protocol. Each Entrant authorizes the Sponsor and any entities affiliated or in privity with the Sponsor to utilize, for eternity and in any manner they see fit, the Video submitted to Sponsor, and to make derivative works from such materials solely in connection with the Contest (i.e., to create promotional materials). Each Entrant releases the Sponsor, and their assignees and licensees, from any and all claims or liability (now known or hereafter arising), including but not limited to any claims for defense and/or indemnity, in connection therewith. Each Entrant agrees and acknowledges that participation in the Contest, including, without limitation, the Entrant’s decision to provide the Entrant’s submission to Sponsor for purposes of the Contest, shall not give rise to any confidential, fiduciary, implied-in-fact, implied-in-law, or other special relationship between Sponsor and Entrant, does not place the Sponsor in a position that is any different from the position held by members of the general public with regard to elements of the Entrant’s video submission, and that the only contracts, express or implied, between the Sponsor and Entrant are as set forth in these Official Rules and the release forms. The Grand Prize Winner may be required to complete and execute additional documents and have third parties execute Sponsor’s documents in connection with the rights granted to Sponsor as a condition of prize acceptance. In addition, by participating in the Contest and submitting a Video, each Entrant hereby grants permission (except where prohibited by law) for the Sponsor to use Entrant’s Video, name, likeness, voice, quotes, comments, biographical information, photograph and/or image for the purpose of advertising, trade, or promotion without further notice, permission, compensation or consideration in any and all media now known or hereafter developed throughout the universe, unless prohibited by law. Except as required by law or permitted pursuant to these Contest Official Rules, the Sponsor will not share an Entrant’s information with any third parties. 8. NATURE OF RELATIONSHIP/WAIVER OF EQUITABLE RELIEF: Each Entrant understands and acknowledges that the Sponsor has wide access to ideas, stories, designs, and other literary materials, and that new ideas are constantly being submitted to it or being developed by their own employees. Each Entrant also acknowledges that many ideas or stories may be competitive with, similar or identical to the Submission and/or each other in theme, idea, plot, format or other respects. Each Entrant acknowledges and agrees that such Entrant will not be entitled to any compensation as a result of Sponsor’s use of any such similar or identical material. Each Entrant acknowledges and agrees that the Sponsor does not now and shall not have in the future any duty or liability, direct or indirect, vicarious, contributory, or otherwise, with respect to the infringement or protection of the copyright in and to the Submission. Finally, each Entrant acknowledges that, with respect to any claim by Entrant relating to or arising out of Sponsor’s actual or alleged exploitation or use of any Submission or other material submitted in connection with the Contest, the damage, if any, thereby caused to the applicable Entrant will not be irreparable or otherwise sufficient to entitle such Entrant to seek injunctive or other equitable relief or in any way enjoin the production, distribution, exhibition or other exploitation of the Video or any other production based on or allegedly based on the Submission, and the Entrant’s rights and remedies in any such event shall be strictly limited to the right to recover damages, if any, in an action at law. 9. RIGHTS OF SPONSOR / DISCLAIMER OF LIABILITY: Sponsor shall have the right and sole discretion to edit, to refuse to air or transmit, or cease to air or transmit any Video whatsoever which it finds to be in violation of these Official Rules, or which it finds in its sole discretion to be otherwise objectionable for any reason, including with respect to Sponsor’s standards and practices and other policies. Sponsor also reserves the right to replace the Grand Prize Winner’s Video with the Video of an alternate eligible Entrant in accordance with these Official Rules if such Video and/or Entrant is withdrawn from or removed from the Contest for any reason, including without limitation, Entrant’s failure to have Sponsor’s documents executed by third parties. Sponsor also reserves the right, in their sole discretion, to terminate the Contest for any reason in the event that there is an error, malfunction, problem or other cause which impacts the operation, administration or security of the Contest or the Sponsor and, in such situation, to select the winner(s) from the eligible Entries received prior to the action taken or in such manner as deemed fair and appropriate by Sponsor. The opinions expressed in the Videos are not necessarily (and in some cases not at all) those of the Sponsor. The Sponsor is not responsible for any materials provided by Entrants which are deemed harmful or offensive to others or for any harm incurred as a result of the Video’s creation. The Sponsor is not responsible in any way for any injury, loss or damage which occurs as a result of an opinion expressed or information provided in the Videos transmitted on the website or on television. The Sponsor makes no warranties, express or implied, as to the content or the accuracy or reliability of any information or statements contained in the Videos. All statements and opinions made by Entrants are those of such Entrants only, and the Sponsor neither endorses nor shall be held responsible for the reliability or accuracy of same. Sponsor is not responsible for the content or practices of You Tube or other third party websites that may be linked to the Contest Homepage. This site may also be linked to websites operated by companies affiliated with Sponsor. Visitors to those sites should refer to each site’s separate privacy policies and practices. 10. WARRANTY: It is an express condition of submission and eligibility that each Entrant warrants and represents that Entrant’s Video is solely owned by Entrant and solely created by Entrant for the purpose of entering this Contest, and that no other party has any rights or interest in the Videos. Entrant further represents and warrants that the Videos and any use thereof by the Sponsor or any partners, subsidiaries and affiliates in connection with programming, advertising, promotion and publicity, shall not infringe upon any statutory or common law intellectual property right (including, without limitation, any copyright) under U.S. and international laws and shall not constitute a defamation, or invasion of the right of privacy or publicity, or infringement of any other right of any kind of any third party. 11. INDEMNITY: The Contest may also be promoted by a third party or parties (each a “Promotional Partner,” collectively “Promotional Partners”). Entrant shall indemnify and hold harmless the Sponsor, any Promotional Partners, and each of their respective parents, affiliates, successors, assigns and licensees, and each of their respective employees, shareholders, officers, directors, agents and representatives from and against any and all liability, claims, loss, damage, injury or expense, including reasonable attorneys’ fees, arising in connection with any third party action arising out of a breach or allegation which if true would constitute a breach, of any of Entrant’s representations, warranties or obligations herein. Sponsor, its member stations, and each of their respective agents, representatives, parent companies, affiliates, subsidiaries and legal advisers, and each of their respective employees, shareholders, officers, and directors (“Released Parties”) are not responsible or liable for, and shall be released and held harmless from: (i) late, lost, delayed, damaged, incomplete, illegible, unintelligible, misdirected or otherwise undeliverable mail, postage-due notices, release forms, affidavits or other correspondence; (ii) telephone, electronic, hardware or software program, network, Internet or computer malfunctions, failures, or difficulties of any kind; (iii) any condition caused by events beyond the control of the Sponsor that may cause the Contest to be disrupted or corrupted; (iv) any printing, human, typographical or other errors or ambiguities in (or involving) any materials associated with the Contest; (v) any and all losses, damages, rights, claims and action of any kind in connection with or resulting from participation in the Contest; (vi) acceptance, possession, or use of any prize, including without limitation, personal injury, death and property damage arising there from; and (vii) claims based on publicity rights, defamation or invasion of privacy. Sponsor reserves the right, in its sole discretion, to suspend or cancel the Contest at any time for any reason, including, without limitation, if a computer virus, bug or other technical problem corrupts the administration, security, or proper conduct of the Contest, strikes, lock-outs, acts of God, technical difficulties, and other events not within the reasonable control of Sponsor. BY PARTICIPATING IN THIS CONTEST, ENTRANTS AGREE THAT THE RELEASED PARTIES WILL HAVE NO LIABILITY WHATSOEVER FOR, AND SHALL BE HELD HARMLESS BY ENTRANTS AGAINST, ANY LIABILITY FOR ANY INJURIES, LOSSES, OR DAMAGES OF ANY KIND TO PERSONS, INCLUDING PERSONAL INJURY OR DEATH, OR PROPERTY RESULTING IN WHOLE OR IN PART, DIRECTLY OR INDIRECTLY, FROM ACCEPTANCE, POSSESSION, MISUSE, OR USE OF THE PRIZE, ENTRY OR PARTICIPATION IN THIS CONTEST OR IN ANY CONTEST-RELATED ACTIVITY, OR ANY CLAIMS BASED ON PUBLICITY RIGHTS, DEFAMATION, OR INVASION OF PRIVACY, OR MERCHANDISE DELIVERY. THE RELEASED PARTIES ARE NOT RESPONSIBLE IF ANY PRIZE CANNOT BE AWARDED DUE TO TRAVEL CANCELLATIONS, DELAYS, OR INTERRUPTIONS DUE TO ACTS OF GOD, ACTS OF WAR, NATURAL DISASTERS, WEATHER, OR TERRORISM. WITHOUT LIMITING THE FOREGOING, EVERYTHING REGARDING THIS PROMOTION, INCLUDING THE CONTEST HOMEPAGE AND ALL PRIZES, ARE PROVIDED “AS IS” WITHOUT WARRANTY OF ANY KIND, EITHER EXPRESS OR IMPLIED, INCLUDING BUT NOT LIMITED TO, THE IMPLIED WARRANTIES OF MERCHANTABILITY, FITNESS FOR A PARTICULAR PURPOSE, OR NON-INFRINGEMENT. SOME JURISDICTIONS MAY NOT ALLOW THE LIMITATIONS OR EXCLUSIONS OF LIABILITY FOR INCIDENTAL OR CONSEQUENTIAL DAMAGES OR EXCLUSION OF IMPLIED WARRANTIES, SO SOME OF THE ABOVE LIMITATIONS OR EXCLUSIONS MAY NOT APPLY. CHECK LOCAL LAWS FOR ANY RESTRICTIONS OR LIMITATIONS REGARDING THESE LIMITATIONS OR EXCLUSIONS. 13. GENERAL TERMS AND CONDITIONS: California law governs this Contest. All issues and questions concerning the construction, validity, interpretation and enforceability of the Contest, or the rights and obligations of Entrants and Sponsor in connection with the Contest, shall be governed by, and construed in accordance with, the laws of the State of California, without giving effect to any choice of law or conflict of law rules or provisions (whether of CA or any other jurisdiction) that would cause the application of the laws of any jurisdiction other than the State of California. In the event of a claim or dispute, Entrants’ sole remedy shall be limited to their remedy at law for damages, if any, and Entrants shall not have the right to in any way enjoin or restrain the distribution, advertising, publicizing or other exploitation (in any form of media) of the Contest Homepage, the Contest, and/or any intellectual property owned or licensed by the Sponsor or their respective parent companies, subsidiaries, member stations, and affiliated entities. Sponsor reserves the right, at its sole discretion, to prohibit any Entrant from participating in the Contest or to disqualify any individual it finds, in its sole determination, to be tampering with the entry process or the operation of the Contest; to be attempting to undermine the legitimate operation of the Contest by cheating, hacking, deception, or any other unfair playing practices; to be acting in violation of the Official Rules; or to be acting in a disruptive manner, or with intent to annoy, abuse, threaten or harass any other person. Sponsor may suspend or discontinue the Contest if, in its sole opinion, there is any actual or suspected tampering of the Contest, or any other malfunction, event or activity that may affect the integrity of the Contest. SPONSOR SHALL NOT BE OBLIGATED TO AWARD ANY PRIZE THAT RELATES TO OR ARISES OUT OF IMPROPER OR MISTAKEN PRIZE NOTIFICATION, OPERATION OR FUNCTION OF THIS CONTEST. 16. OFFICIAL RULES AND WINNERS LIST: For a copy of the Official Rules, visit [LINK] or send a self-addressed, stamped envelope for receipt by October 8th, to: Official Rules, “Election Day is the Most Important Day”, c/o DOLORES HUERTA FOUNDATION, P.O. 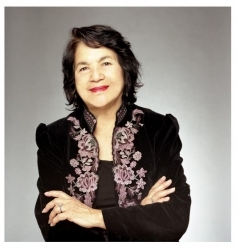 Box 2087, Bakersfield, CA 93303 For a list of winners, available October 21, 2016, send a self-addressed, stamped envelope for receipt by December 31, 2016, to: Winners List, “Election Day is the Most Important Day”, c/o DOLORES HUERTA FOUNDATION, P.O. Box 2087, Bakersfield, CA 93303 Requests received without a self-addressed, stamped envelope will not be fulfilled.